Vertical farm crop wall demonstration project. Where is the soil? 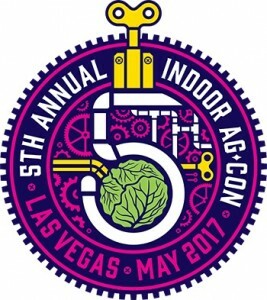 With conventions in Vegas, indoor agriculture is growing in popularity. 2017-04 Good article on this topic. 7 thoughts on "The New Urban Indoor Industrial Agriculture… but Why?" Great post Andy! Certainly an interesting topic. One thing that you do not address in this post is the possibility for AND. Why not traditional agriculture where it is needed (grains, livestock, etc. 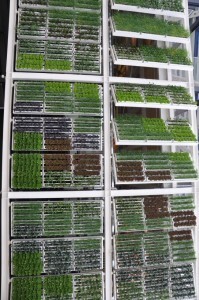 ), and indoor agriculture where it works and meets a demand (salad security; tilapia/greens combo production; whatever). In past posts you’ve been an advocate for technology continuing to improve agriculture and helping us to feed the world’s population as it grows. Is this not an example? Not a replacement system but a new tool in the toolbox to augment what traditional ag does well? Why only allow technology to work when it is focused on incremental improvement of field crop production? Why not allow engineers and makers and techy millennials to see the system through their own lens and try new solutions alongside traditional production? Not a criticism, just a thought 🙂 Thank you for your posts! Always thought-provoking. Tara, you may be right. These systems may make sense in some situations, such as in the middle of a huge city, or if transport costs are very high, or where outdoor temperatures limit crop production. But I am not the first one to note the irony of using solar powered lights to grow crops. I always enjoy your posts Andy. This is another good one. 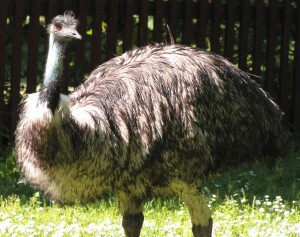 Great post, I just published a blog post in Swedish on the same topic. I calculated that you would need ten times as big area for solar panels as the growing area of each layer for a vertical LED farm, which means that the “saving land” argument is quite nonsensical. Thanks Gunnar. If others want to read Gunnar’s excellent post, Google Translate does a good job with the Swedish. Thanks Andrew, and btw. “salad security” is a brilliant expression!